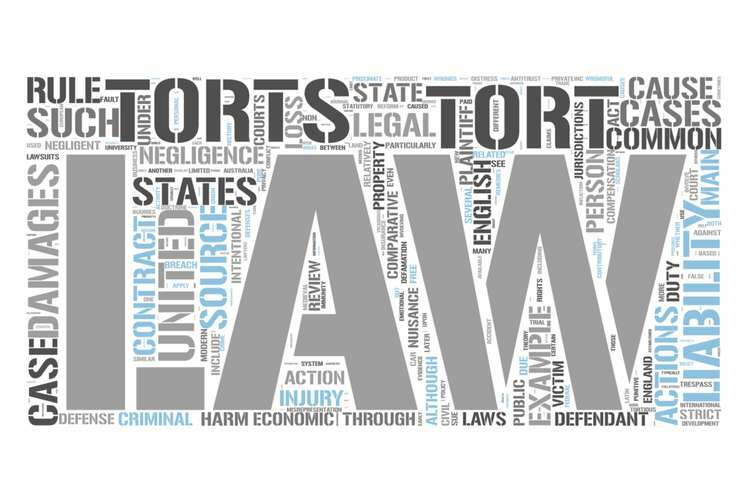 The below case study discusses about tort law and major tort law question “Is it possible to frame an action in both trespass and negligence based on the same set of facts? If so, identify instances when trespass may be more attractive to a plaintiff? This paper discusses about the case Williams v Milotin  97 CLR 465 and major significance and implications of the ethical decision making. This case is related to trespasses and negligence. The high court took a different approach for this case:- Williams v Milotin  97 CLR 465. The high court has dismissed the appeal of the plaintiff. However, the High Court was compelled to give some attention to the rules by regulating the limits of trespass due to occurrence of personal injuries. However, the court gave a concise statement and pointed out that there was no suggestion that the defendant had intended to strike him, Due to this reason, the appeal was dismissed. In this case, the High Court faced a different situation which forced it to give some kind of attention to the governing rules of trespass and different course of action. There are several rules of trespassing. The rule in Williams v Holland states that trespass or an action on the case is maintainable for direct injury caused negligently. In Williams v Milotin, the High Court had to take and consider certain provisions of South Australian Limitation of Actions Act (1936-1948) as per Section 35 of the Act. There were several limitations of Actions Act (1936-1948) which was also highlighted through this case. 3. The action was commenced more than three years though less than 6 years after the date of occurrence of the particular event. 5. The plaintiff brought the action in order to recover the personal damages as the result of negligent driving of the truck of the defendant. 7. S36 of Limitation of Actions Act 1936-1948 infers that all actions must be commenced within three years after the action has occurred. It has been inferred that the cause of action might have been due to trespass to the person, but, it may be also been brought in order to recover a particular personal damage caused due to the negligence of the defendant’s. It is also evaluated that there was absence of any intention or a violation occurring in the course of traffic cannot be termed as trespass. In case of Williams v Milotin, there was a difference in the judgment of High Court. They considered that in any action occurring due to negligence, the fault is the primary element of action but an exception on behalf of the parties. In short, in case of absence of any intention, any kind of violation cannot be considered as actionable as a trespass. The given case study have any significance that can be considered of having a wider impact. In addition to this, it can be also inferred that where both the elements of negligence and trespassers met, both the elements will be available to the defendant as per the judgment of High Court in case of Williams v Milotin. Intention can be of two types which are actual intention and reckless. Actual intention refers to possible deemed intention where the actual result was certain to be followed. Recklessness happens when a particular person is aware of the outcome of any action, but still goes and complete those. As per judgment in the case, Williams v Milotin, any act done in the absence of intention, the given violation is not at actionable as a trespass. There were widespread implications of the given case. Authorities prior to 1825 was not able to rely on the progressive development of the case at the expense of trespass. As per case King V Phillips, the common law of trespass was business development through the case of negligence. As per Section 36 of the Limitation Act, it can be inferred that for any assault caused by trespassing, imprisonment will be commenced within three actions of the action taken place. On the other hand, Section 35 of the Limitation Act, infers that the number of actions must be followed within six years after the given action has commenced. In addition to this, according to Section 5, of Supreme Court Act of 1935, it can be inferred that the situation given in the case of Williams v Milotin  97 CLR 465 can be considered as an action of trespass. However, it can be also inferred that the plaintiff and his friend had intended to allege this action as a cause of negligence on behalf of the defendant. However, there was no suggestion in the case that the defendant had any intention to harm or strike him at any point of time. Therefore, this particular damage cannot be considered as an act of negligence. It could have been considered as negligence if the defendant or his servant caused any act of violence. However, such was not the case. This can be referred from the case Williams V Holland. The cases of Parsons V Partridge (1992) and Wilson v Horne (1974) are examples of implication of the case Williams v Milotin. In case of Williams v Milotin, the High Court has established a principle that in case of direct injury caused by negligence, the plaintiff has the right to choose favorable limitation period, which can be among three years period in case of trespass or six years period in case of negligence. However, in case of Wilson v Horne (1974), there was a personal injury and limitation of three years in trespass was assumed following the same principle established in case of Williams v Milotin  97 CLR 465. In addition to this, it can be inferred that in case of Parsons V Partridge (1992), the reasoning of Williams V Milotin was referred. This case was based on action taken for negligent driving of a motor vehicle causing a personal injury and this injury was caused by defendant’s direct act. The main issue of this case was related to the application of the limitation period. By following the Williams V Milotin case, relevant facts for the case Parsons V Partridge was brought in the form of action of trespass to the person as well as on the case. In the given case, plaintiff’s had to rely on the cause of action as per part S111 of Limitations Act 1623 which refers to the limitation period of 6 years. However, the appeal was dismissed with adequate costs by High Court. In early cases, trespass and various actions of the case were initially determined through any of act which is indirect and direct injury to any concerned personThe judgment of Williams V Milotin case also affected the judgment of Williams V Holland case. As per Williams V Milotin, intentional inflection of harm cannot be considered or pleaded as a cause of negligence. Similarly, in case of Williams V Holland, action of the case can be considered as direct act as long as it is not a willful act. Apart from this, the defendant in the case Williams V Milotin inferred that the action could have been brought in trespass and not otherwise. Same thing happened in the other case as well. Limitations Similar thing happened in the case of Marsha v Clive. In this case, Clive suffered a direct injury due to negligence of Marsha who jammed Clive’s hand in the car window. However, it was not known whether it was an intentional act or not. Therefore, other facts were required to be established. From Williams v Milotin, it was established that where is a trespass, there is negligence as well. However, in case of Letang v Cooper, the English Court of Appeal supposedly went one step further and opined that the defendant had negligently interfered to the personal security of the plaintiff to cause a harm to him. It can be opined that in this case, plaintiff was sunbaking in the car parking, when the defendant ran over his legs by his car. As per the outcome established in Williams v Milotin, the English Court was supposed to determine the limitation period to the torts of negligence or the torts of trespass. However, the English Court did not do that. The Court of Appeal chose to determine the closeness of the relationship between the two different kinds of torts. According to this case, the distinction of trespass and actions of the case is obsolete. Therefore, in contrary to Williams v Milotin, it was opined in Letang v Cooper that causes of action should be segmented in order to identify whether the dependents did it intentionally or unintentionally and to identify whether the cause of action is negligence or not. If the High Court in the case Williams v Milotin had adopted a broader approach then these complications could have been easily avoided. It can be inferred that there are other jurisdictions present in Northern Territory, South Australia and Queensland. It can be inferred that the Limitation Act in other jurisdictions of Australia deal in a uniform manner when it comes to personal injury cases. It can be referred that the Limitation Act 1981 has a single limitation period in case of all tort cases which includes personal damages and injuries due to trespassers and negligence. In addition to this, it can be also highlighted that the original limitation period can be extended if the facts of the plaintiff’s case though it varies from situation to situation. It can be further opined that the position of South Australia is similar to the above mentioned. There is a three year period for personal injury action though there is a six year limitation period for tort generally. Like South Australia, Queensland is fairly similar. However, in case of Williams v Milotin  97 CLR 465, it has been observed that plaintiff has relied on common negligence based on which he wanted to claim the personal damages. However, the major question is why should the action of the plaintiff will be limited to time rather than the cause of action due to which it is being sued like happened in the case of Letang v Cooper. It can be also highlighted that the two causes of action are not same and they were not same before as well. The main criteria for any action of negligence includes personal injuries with any particular or special damage and also want of duty of care. It can be inferred that trespass do not include none of the criterion. On the contrary, trespass includes direct violation of protection of law around any particular person. Therefore, it can be further inferred that if there is any absence of intention of harm or want of due care or violation in the course of traffic cannot be considered as trespass. In addition to this, it can be also highlighted that trespass cannot be considered as an actionable negligence. The actual facts of the case must fulfil each and every course of action. However, it is not necessary that only one course of action is vested in the plaintiff as per the provisions of Limitations Act 1936, ss. 36 and 35. If the plaintiff has chosen something related to trespass or assault, rather than negligence or any particular damage, the verdict could have been different. The true meaning and effect of s.36 and s.35 has been established in the case as per period of limitation and gist of action of negligence. Due to this reason, the Supreme Court is considered to be right as the case was dismissed by the Court. However, there will be questions whether there will be limitations period applicable to the case of trespass or not. 4. Christensen, Sharon, and William David Duncan. Professional liability and property transactions. Federation Press, 2004. 6. Cockburn, Tina, and Bill Madden. "Pleading intention." Precedent (Sydney, NSW) 115 (2013): 42. 7. Cooper, Letang V. "LETANG v. COOPER." 11. Handford, Peter. "Intentional Negligence: A Contradiction in Terms." Sydney L. Rev. 32 (2010): 29. 12. Kuver, Atul. "BREACH OF PRIVACY IN AUSTRALIA." (2010). 14. Pacific Carriers Limited v BNP Paribas (2004) 218 CLR 451, [351). 15. Pingree, Andrew. "Provocation as a Complete Defence to Trespass to the Person." Deakin L. Rev. 15 (2010): 205. 16. Stickley, Amanda. "High Court describes the" relevant approach" to vicarious liability with a proviso that the boundaries of the principle are not marked out." Australian Civil Liability 13.9 (2016): 128-131. 17. Stickley, Amanda. "The importance of intention." Australian Civil Liability 13.7 (2016): 104-106. 18. Thompson v Palmer (1933) 49 CLR 507, 547 (Dixon J). 19. Williams Group Australia Pty Ltd v Crocker  NSWCA 265 (22 September 2016) [651. 20. Zines, Leslie. The High Court and the Constitution. Federation Press, 2008.